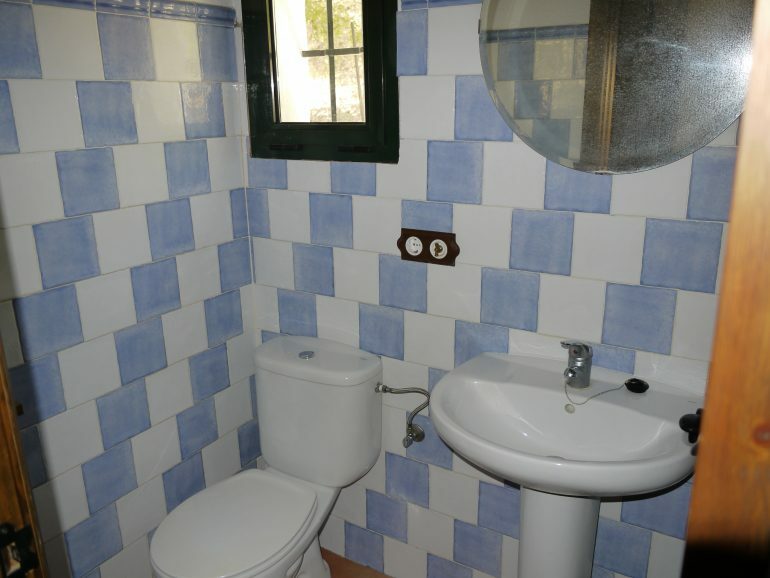 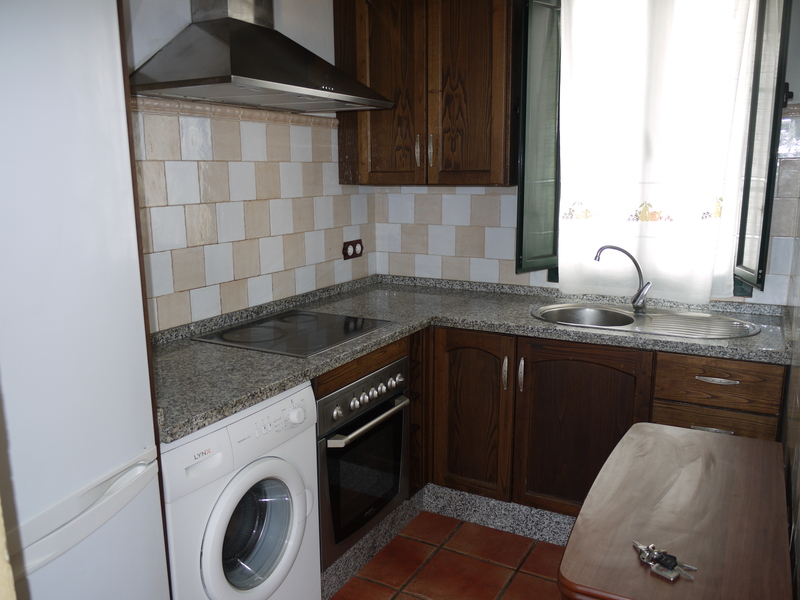 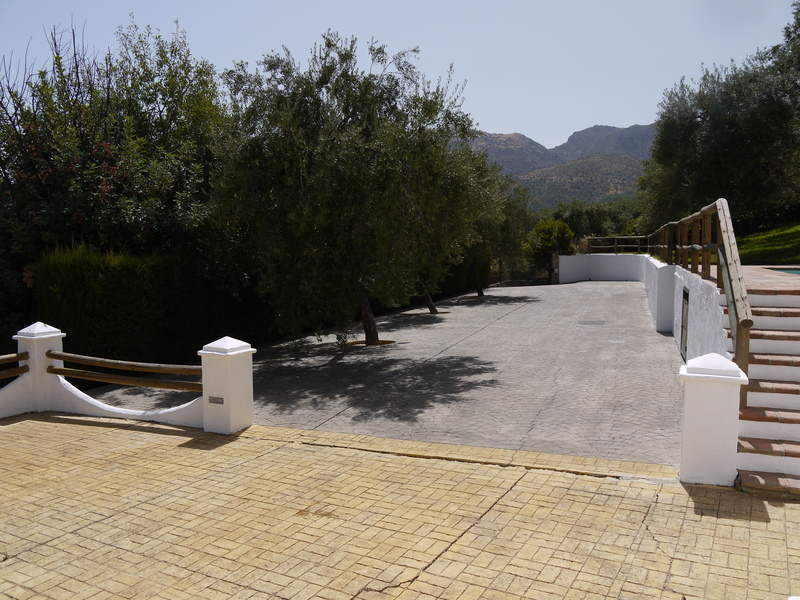 with far reaching views and walking to a local restaurant this make the perfect country home. 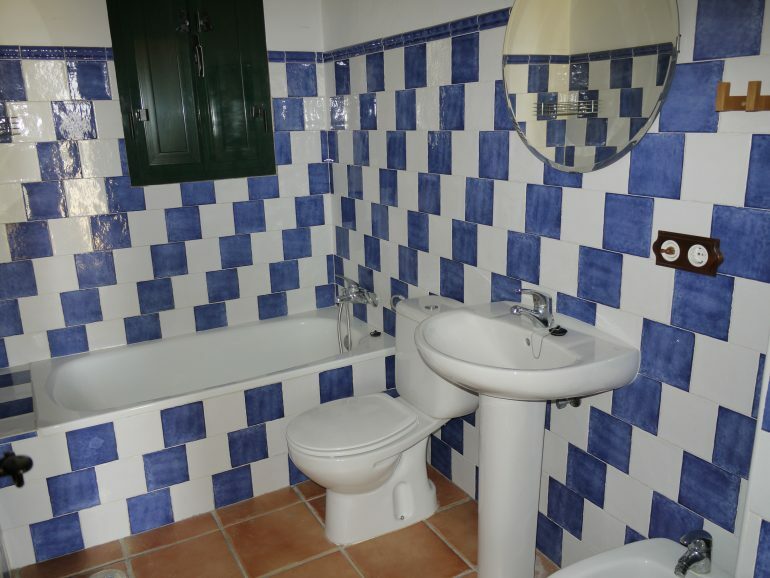 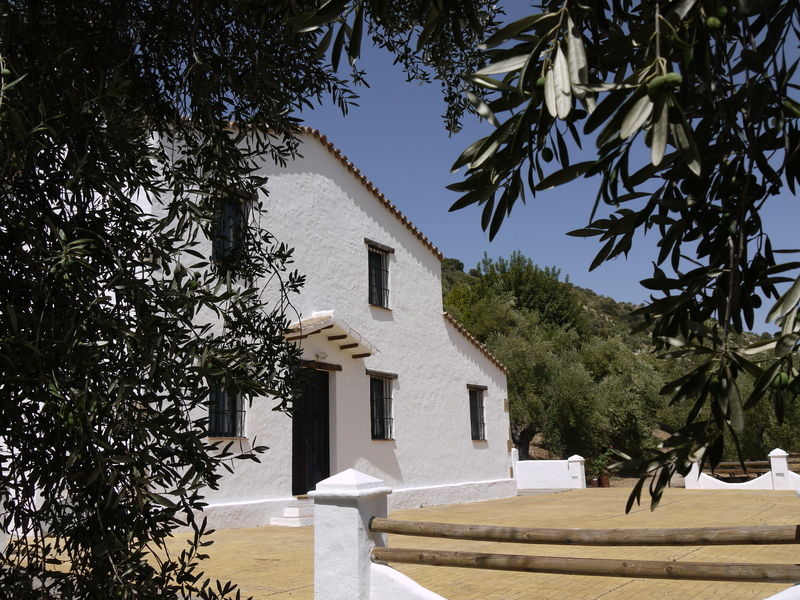 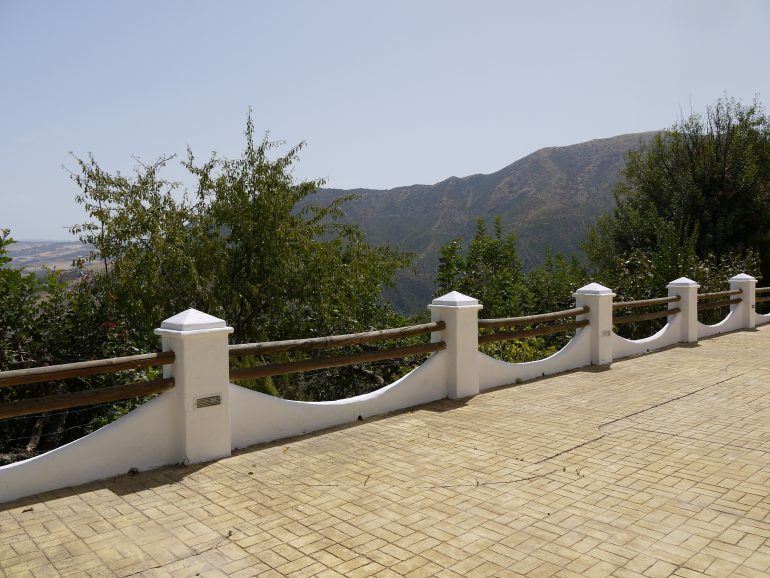 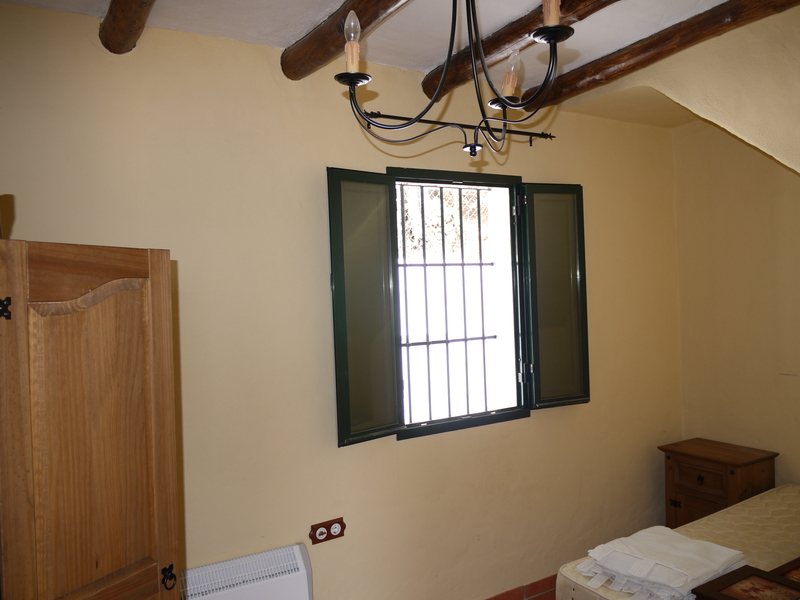 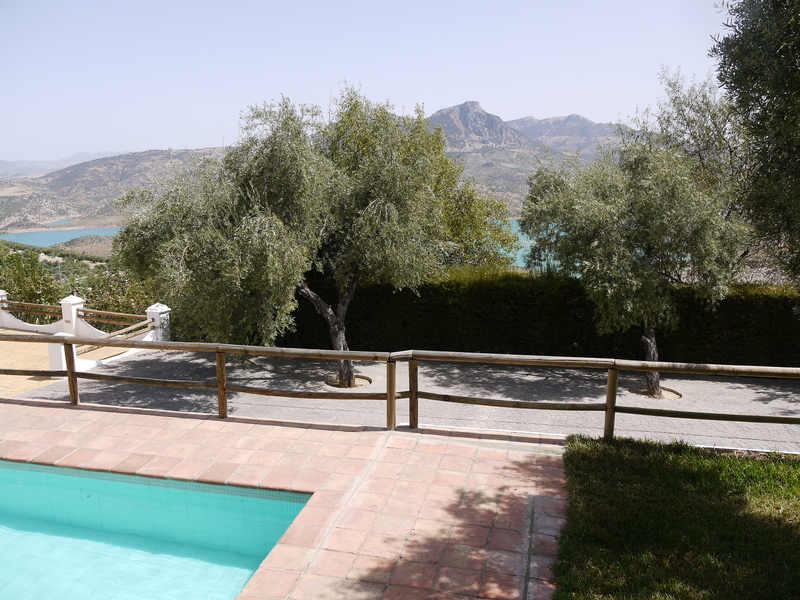 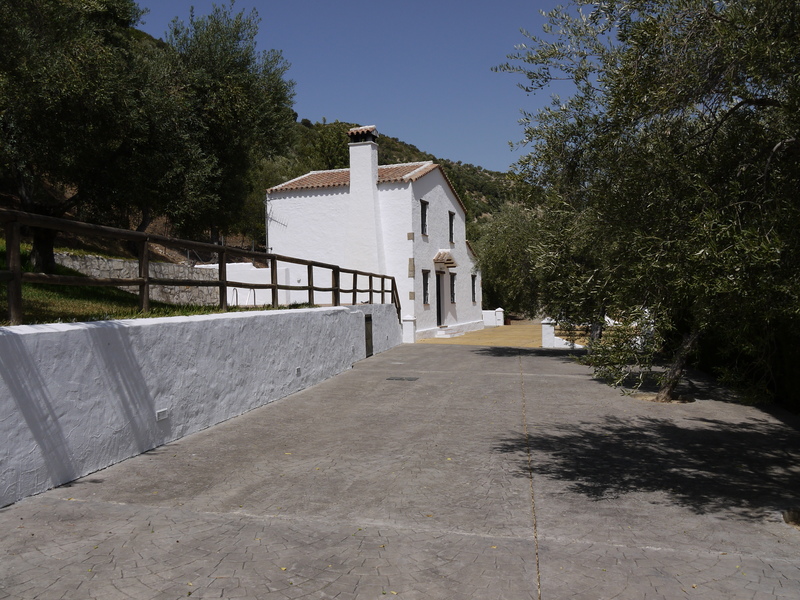 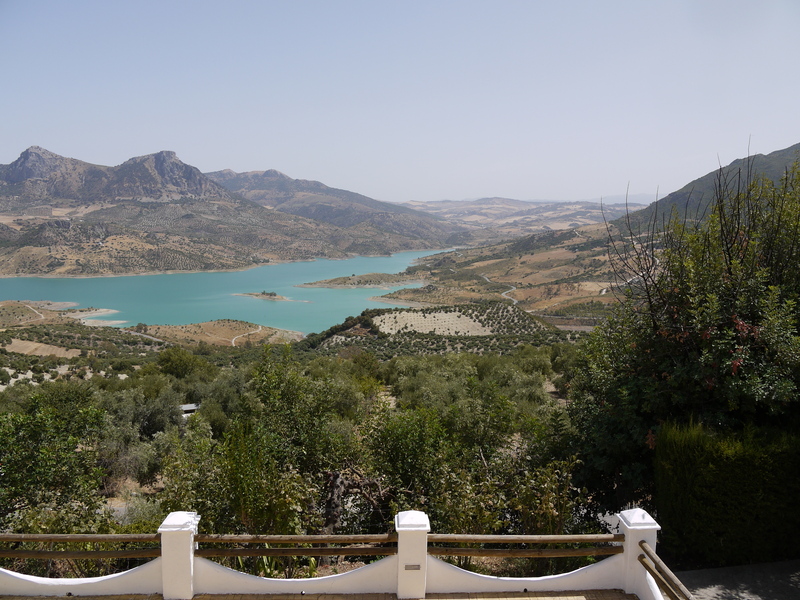 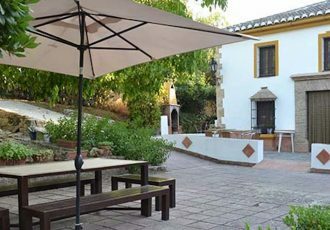 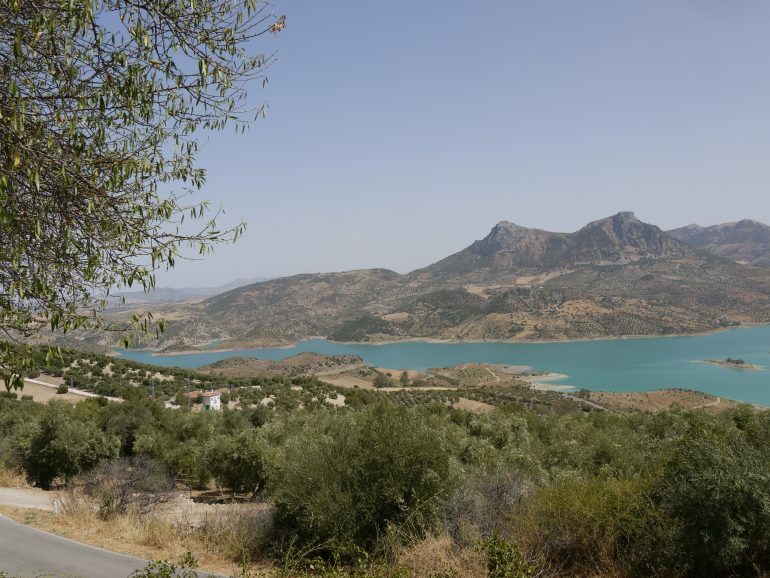 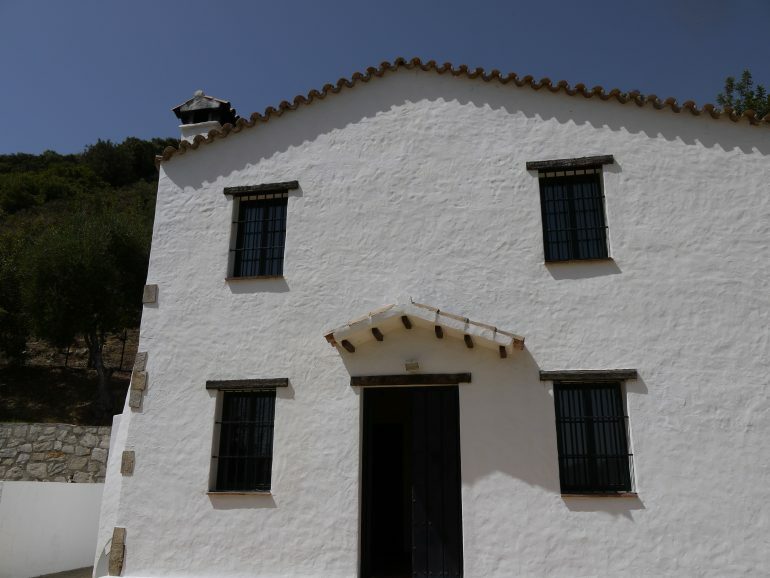 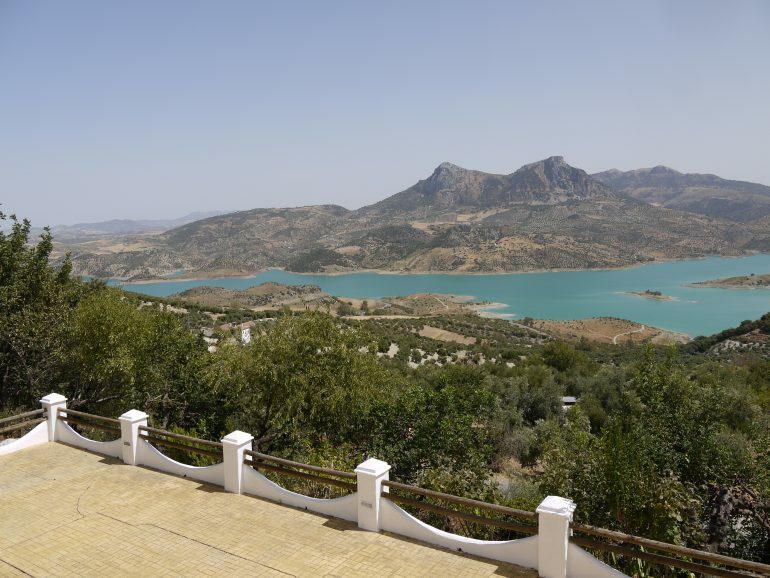 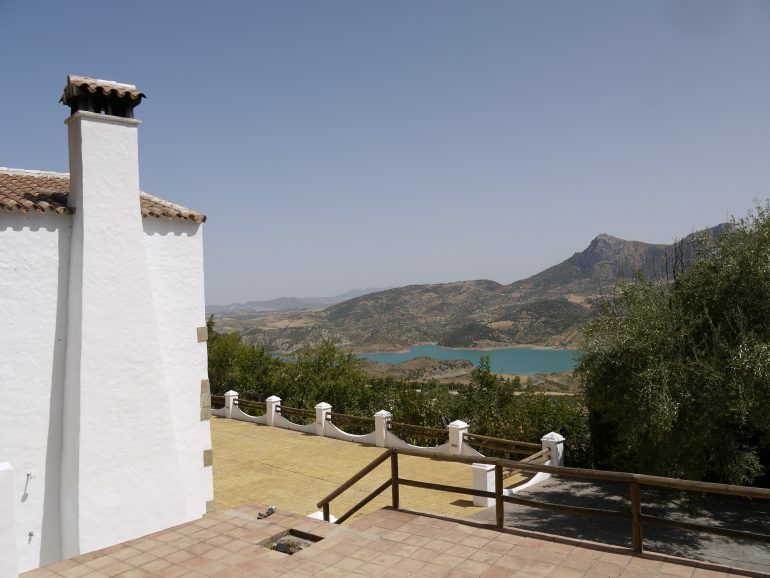 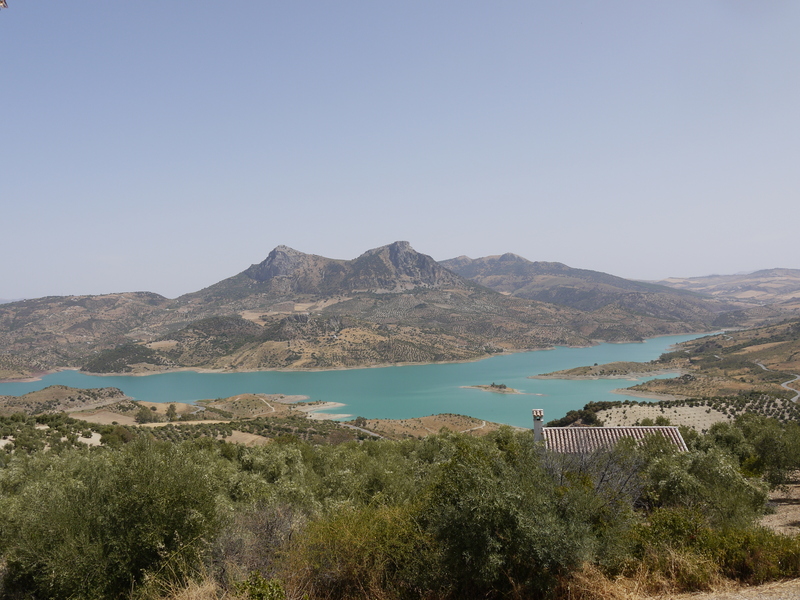 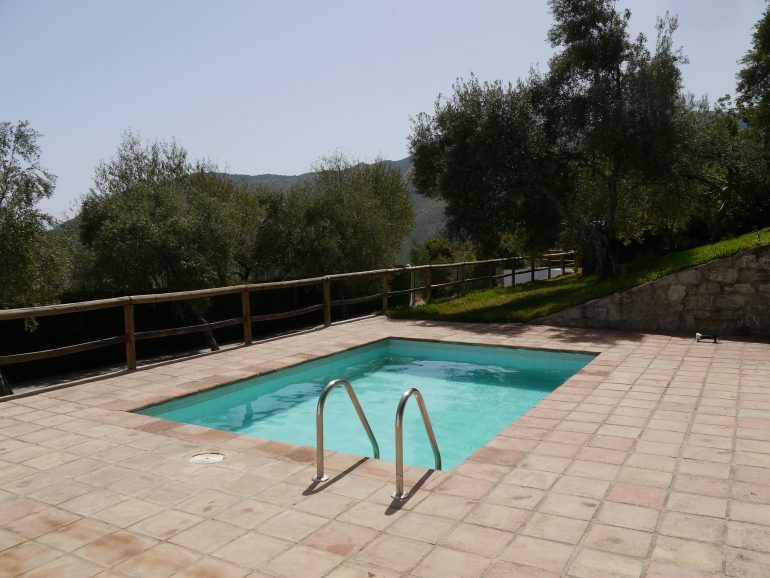 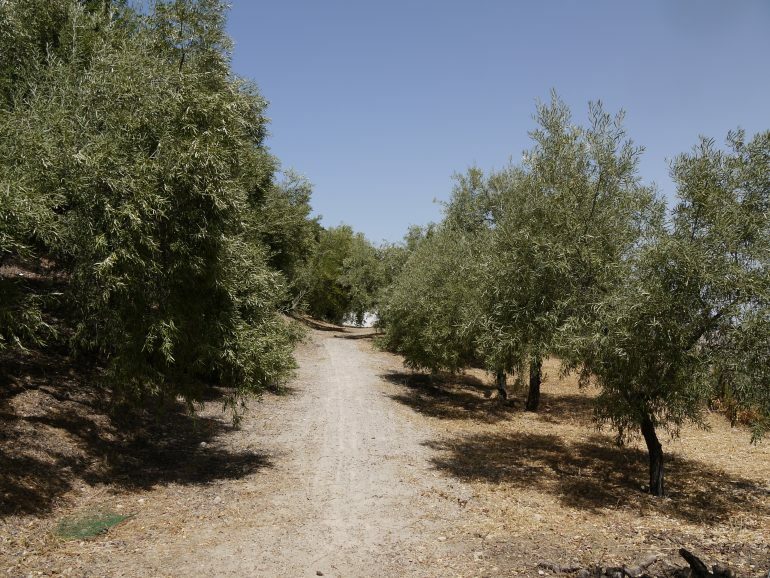 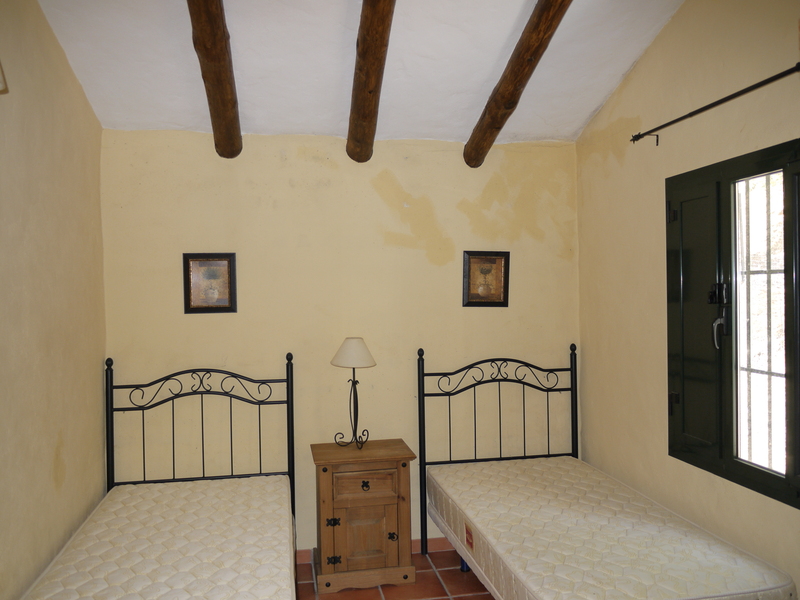 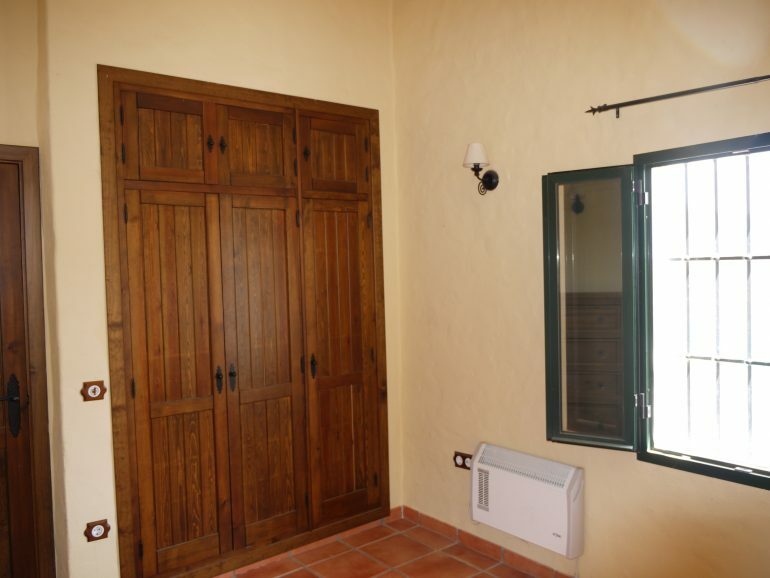 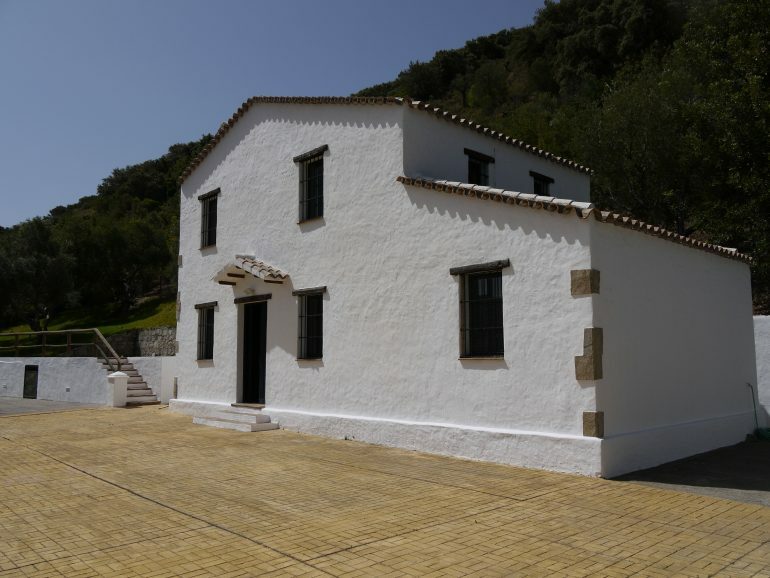 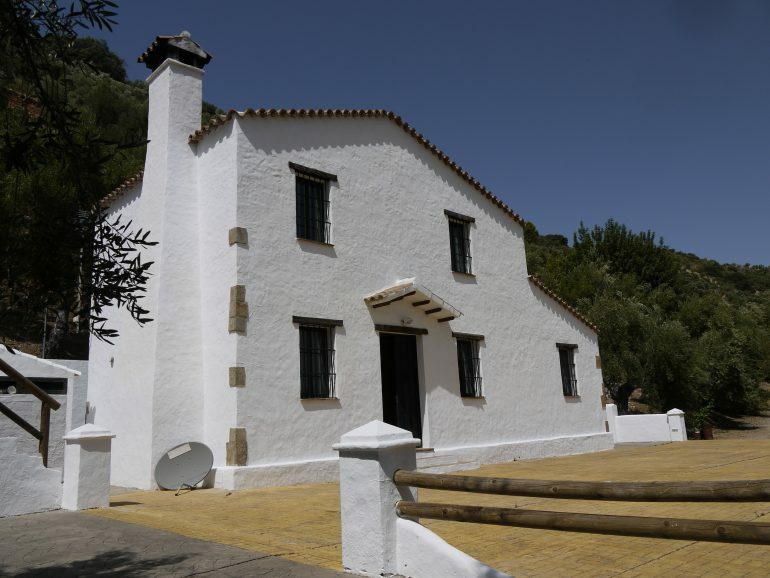 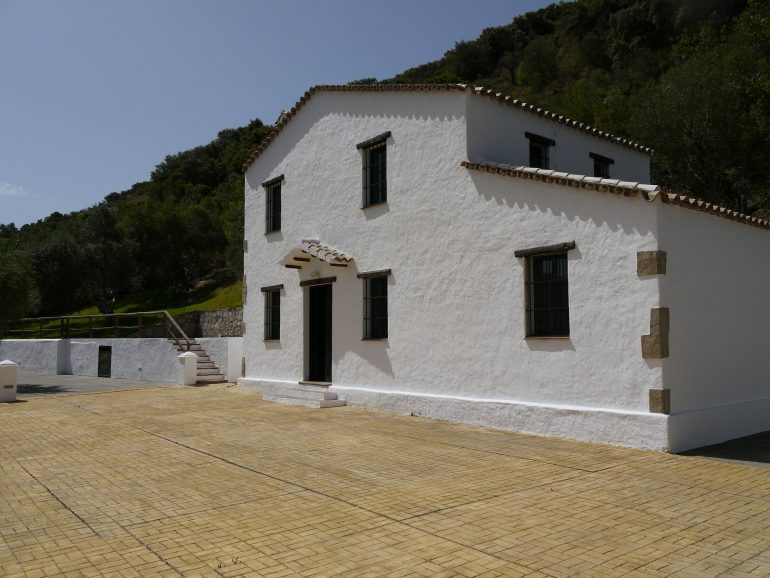 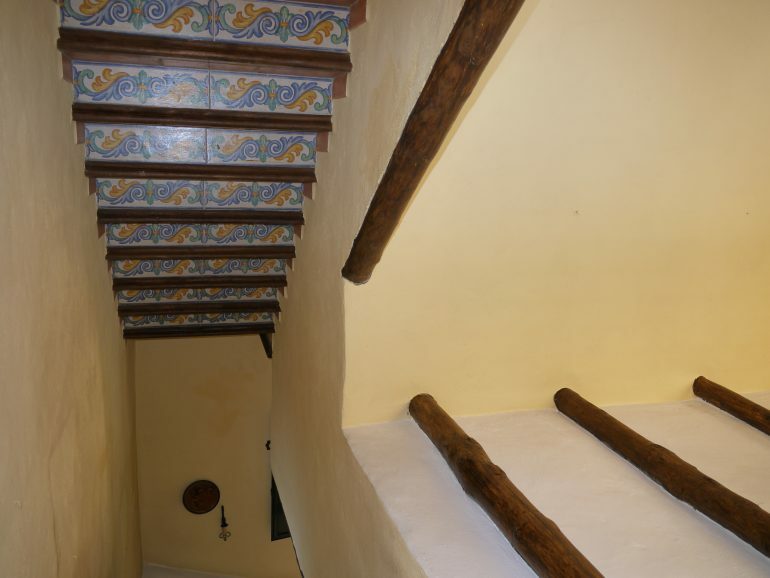 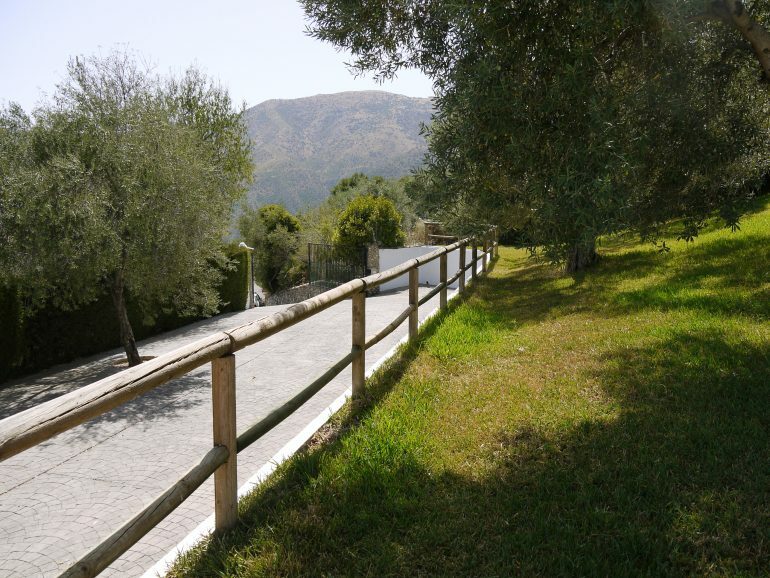 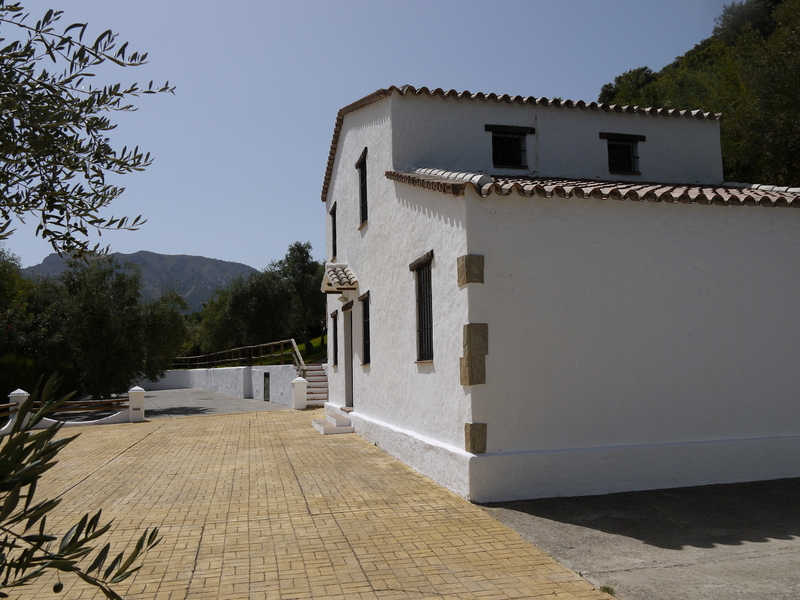 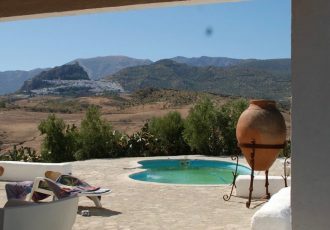 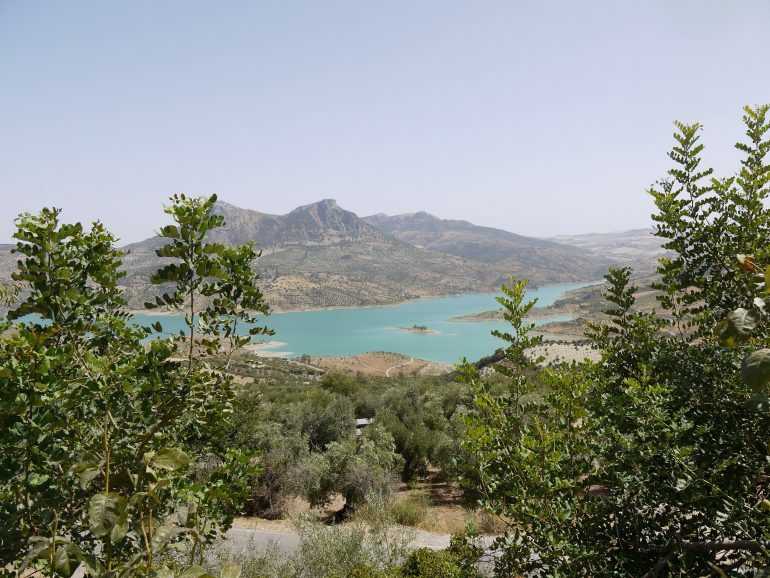 The property is of new construction in a traditional Andalusia style, set within the 50,000m2 grounds, in a national park . 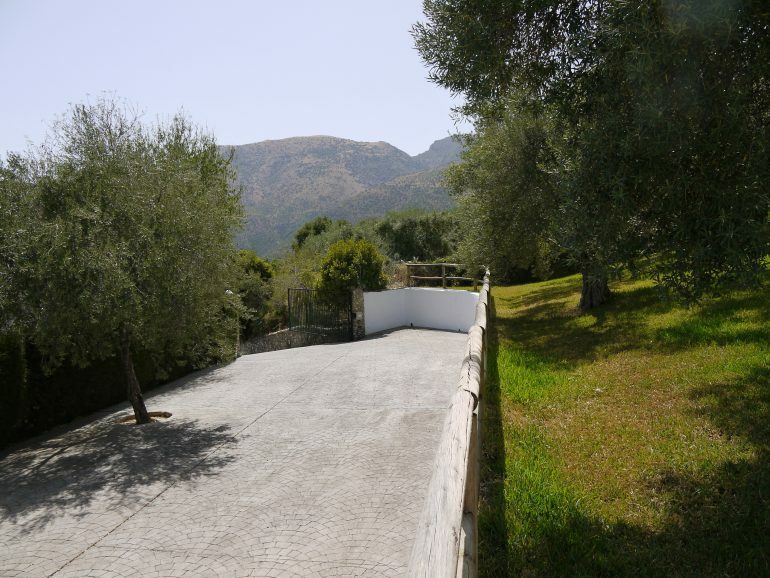 Entry to the property is via a private drive, off a well made back road, with perfect access for any car, the road leads up to a flat parking area, to the side of the house with plenty of space for multiple cars. 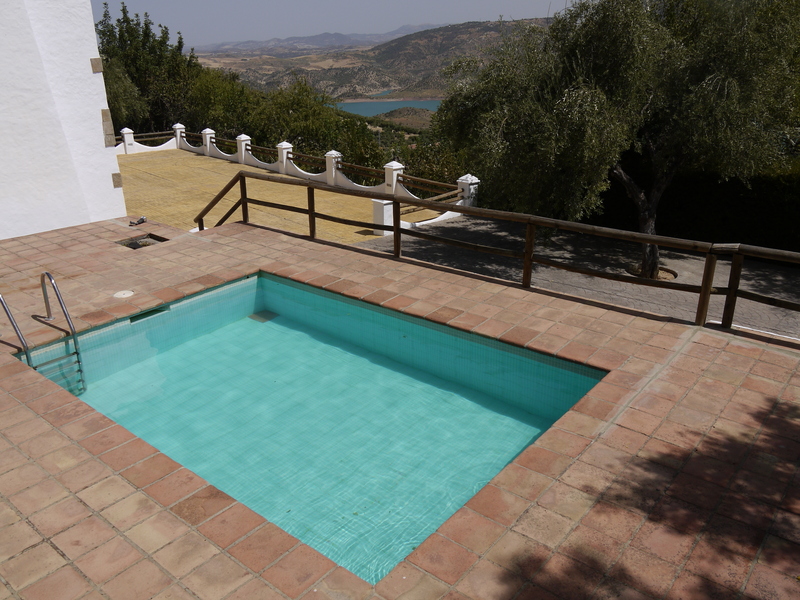 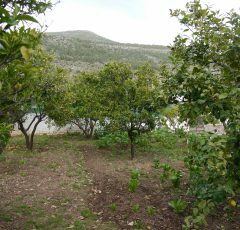 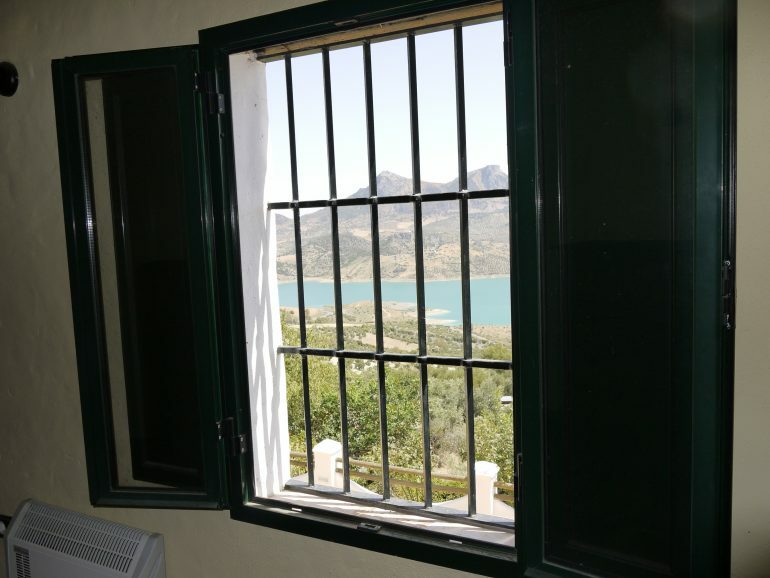 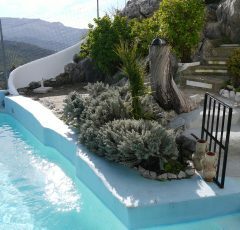 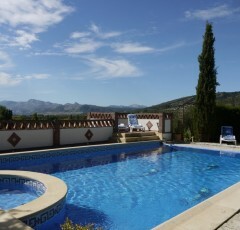 From here is a lawned area and swimming pool with amazing elevated views over the lake Zahara. 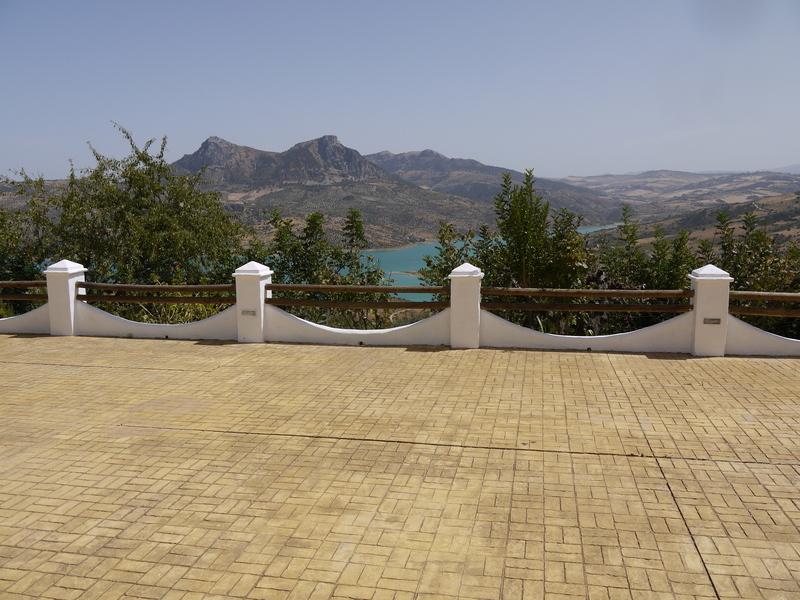 A front terrace would make a excellent party terrace, again with fantastic views over the lake. 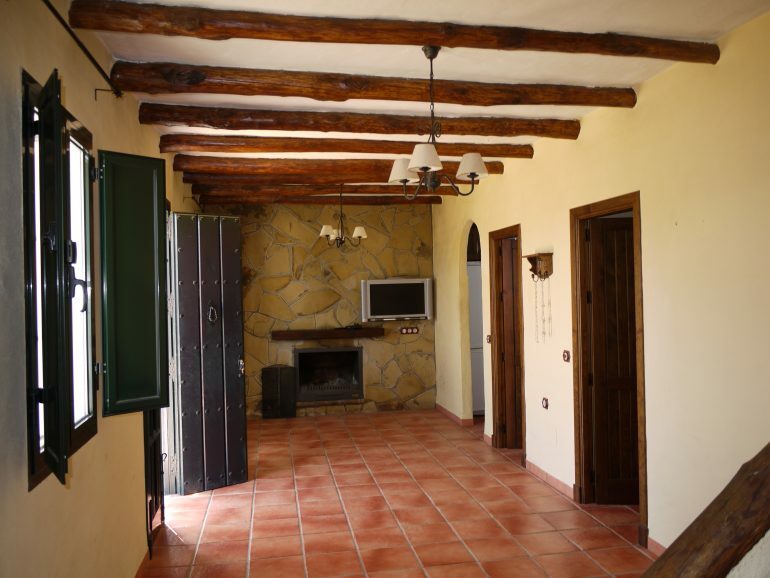 The house has 3 bedrooms upstairs all in traditional style, as well as a large open plan living space downstairs, with snug sitting room off the main living space with staircase leading up and wonderful open fire next to the kitchen, as well as a functional kitchen , and family bathroom all coming off this family room. All the best materials have been used on this building. 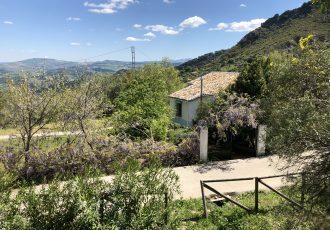 The owner uses as a rental property and has always done very well from it, recently letting it long term to one of our clients who loved living there, the owner now feels it needs to be owned and lived in by a family. 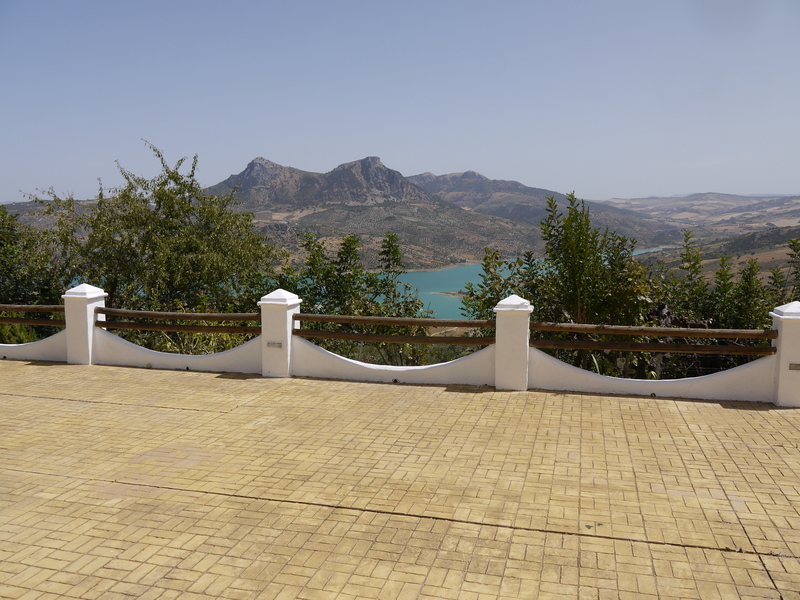 It would make a excellent B&B due to the location.